Leading off this week’s column: With the change of seasons coming, this Puritan post about how to tell the difference between a cold and the flu is very timely. Football season is here and in Zebra Technologies’ post they talk about how they’ve once again teamed up with the NFL and Wilson Sporting Goods to provide player tracking and other unique insights. The National Nuclear Security Administration’s post provides a very interesting look at the aquatic mystery of the Earth’s mantle. Can you imagine a second skin that features technology to enhance human abilities? This 3D Printing Industry post examines a hybrid 3D printing method that may unlock such a breakthrough. 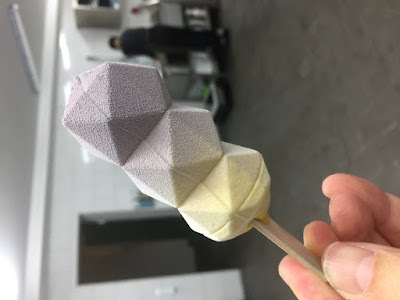 David Marx wanted to ceate “an ice cream for everyone.” Make’s post offers up his edible innovation that has reinvented this classic dessert. 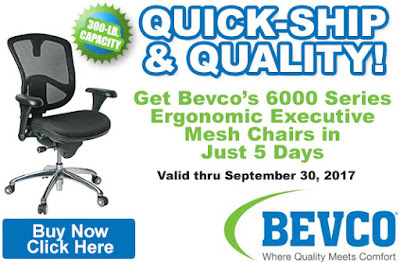 And we close out this week’s column with our post about our new 5-Day Quick-Ship promo on Bevco Mesh Chairs.